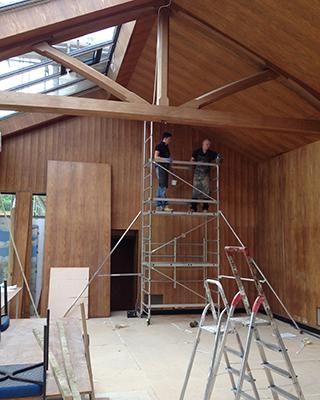 Create a finish to any Interior timber with stains & waxes to support beams or Teknos exterior paint system in any colour with guarantee if applied to Akoya. 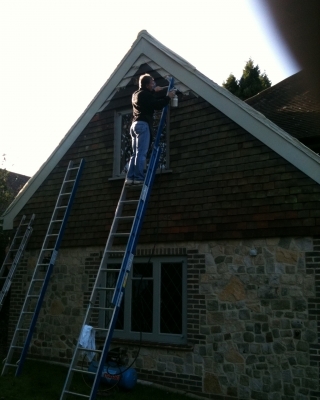 Front & rear doors, windows & frames. 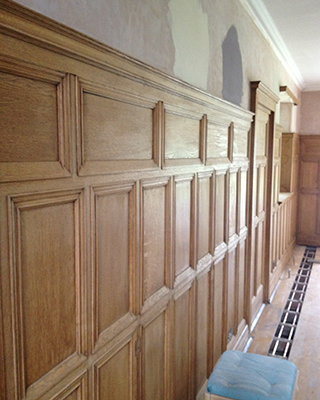 Oak wall panelling stripped and waxed finished. Sycamore veneered morning room. Bleached and shellac finished. 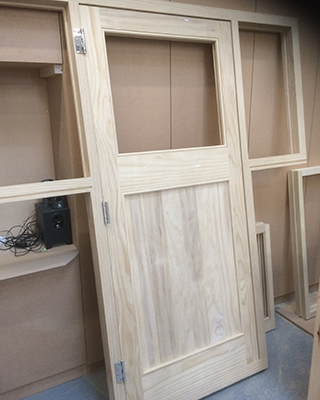 Accoya bespoke joinery. 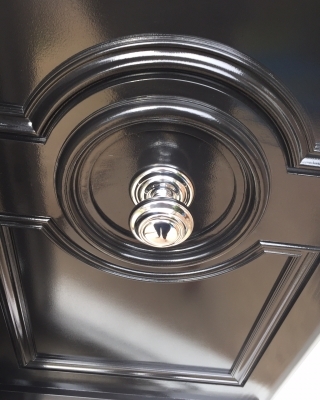 Painted Teknos black satin finish. Exterior fascia prepared and spray paint finish. Front door and side lights. To spray paint Teknos oval room blue satin sheen. 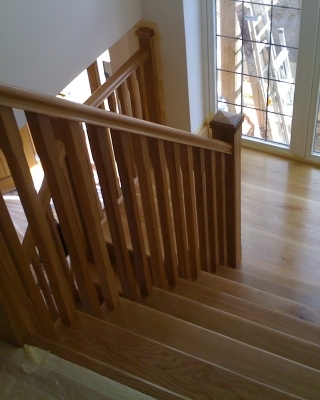 New Oak staircase supplied & fitted by joinery company, polished to a natural satin finish. 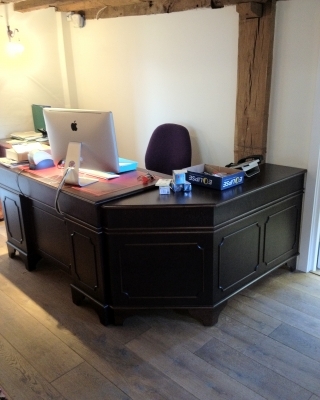 Desk manufactured & polished for Tasis school in Thorpe.